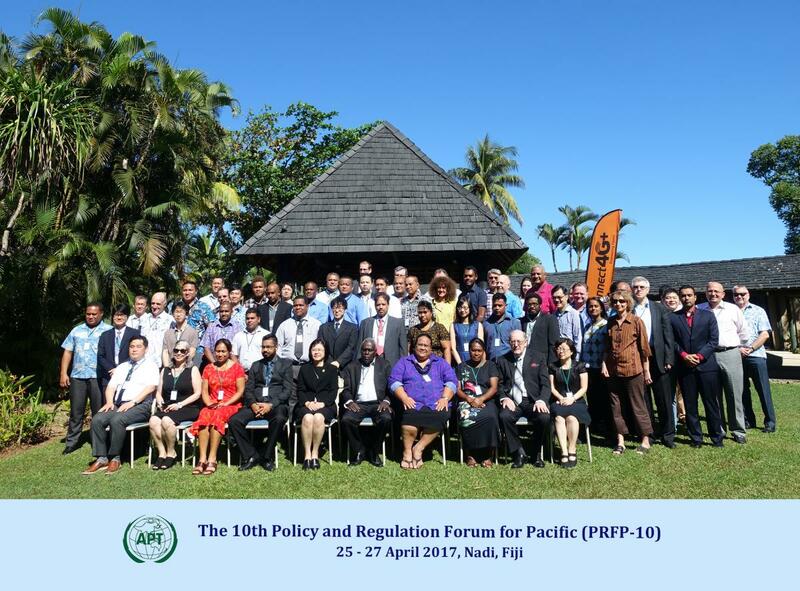 The Asia-Pacific Telecommunity (APT) organized the 10th Policy and Regulation Forum for Pacific (PRFP-10) from 25 to 27 April 2017 in Nadi, Fiji. The forum was hosted by the Ministry of Communications, Republic of Fiji, and supported by the Extra Budgetary Contributions from Australia and Japan. The forum was preceded by 1 day workshop on Satellite connectivity topic, which was jointly organized by an Affiliate Member of the APT on 24 April, 2017.